1) The technical aspect which includes the vocals of the singer. (I’m really not musically inclined so I might make bad judgements here hahahaha.) This is the most basic quality that determines whether a performance is passable or not. 2) The emotional aspect which refers to whether a singer can bring out emotions through singing a song. This is what determines how good a performance is or not. 3) Stage presence. It’s the least important factor, yet unavoidable. 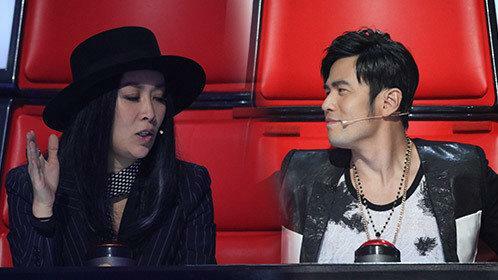 Comments: I had liked him since his first blind audition because of his strong voice. I think he has really good vocals and improved quite a bit. In my opinion, he’s one of the strongest singer in here (according to criteria #1 haha). Plus, he sounds much better with his increased confidence. Likely position: 4th. I doubt he has much chances in emerging as the winner because there’s not much exceptional about him even though he has real good vocals. I think his voice is likeable enough to not end up last though. A middle position of 3rd/4th is likely. I would be glad if he can achieve a higher position though because I am quite fond of him. Comments: I’m not very sure what to expect from him. He changed his style from a western one to a chinese one which was very popular with the audience last week (he got the highest number of votes from the public) but I’m not fond of it. His voice is very stable and makes people feel very grounded though. Likely position: 5th. He’s the most unpredictable one in this lot – his performance quality varies quite a lot. There is a reasonable chance that he might pull off an awe-inspiring performance and end up winning this competition but it is also equally possible that he screws up. It really boils down to his mentality on the night – Na Ying has previously pointed out that Leon is not mentally strong and has the tendency to screw up during important performances due to nerves/stress. He did prove himself during the Top 10 –> Top 5 round so let’s see if he can continue to keep up with it. Comments: She got a pretty decent voice and an ability to rap. What’s commendable is her efforts in showing that girls can do hip hop too. Her stage presence isn’t bad and she got a pretty face to help too. Comments: She’s a strong contender. Pleasant, headstrong yet lovable. It seems as if everyone loves Bei Bei and she indeed has got good vocals to match it up too. She owns the stage she is on and seems to be born to be a performer. Likely position: 3rd. She’s great but if she continues to be insistent on being a female version of Wang Feng, chances are she won’t be able to clinch the championship as easily. She probably offended quite a number of people with her undying support for Wang Feng. She might be a hot favourite but her road to winning is filled with resistance. Comments: He doesn’t have super fantastic vocal techniques that he flaunts, nor does he has superb stage presence but he has a voice that sings into your heart. He doesn’t sing out the emotions directly – he makes people feel the emotions that he is singing about. The songs he sing are not overwhelming at all but he manages to make one overwhelmed with feelings while listening to him. I think out of all the singers, he can control the emotional aspect of each song the best. When he sings, he’s not just singing; he is telling a story. Likely position: 2nd. Leading in the semifinals (by quite a bit) must mean that he does have a certain advantage over the rest. Honestly, I’m rooting for him to win. But I wouldn’t be surprised if he didn’t. His style seems to be similar to Parhat Halik, the runner-up last year. Both of their singing style are aimed at touching the hearts of the audience. 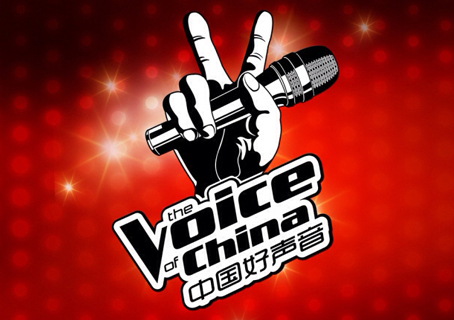 The only difference is that I don’t really like Parhat Halik’s voice but I love Zhang Lei’s voice. However, Parhat Halik didn’t win last year, probably because he is less marketable than the ‘young and upcoming’ Zhang Bichen. And this season, there’s Chen Zitong, who’s extremely similar to Zhang Bichen, fighting against Zhang Lei. I can only hope that history doesn’t repeat itself even though it probably will. I didn’t know she raps in korean! I actually like how fresh Zi Tong is. 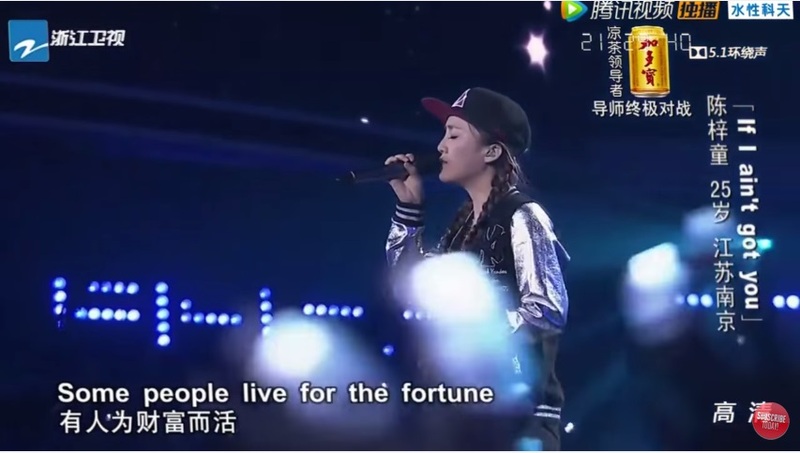 How many of the contestants have sang as many variety of songs as her (rap, fast and slow songs) and done them well? Typically when they change their style the contestants don’t manage to do it well, but she does. She isn’t amazing but she definitely can hold her own. To be honest I think the top 5 all deserve to be there. 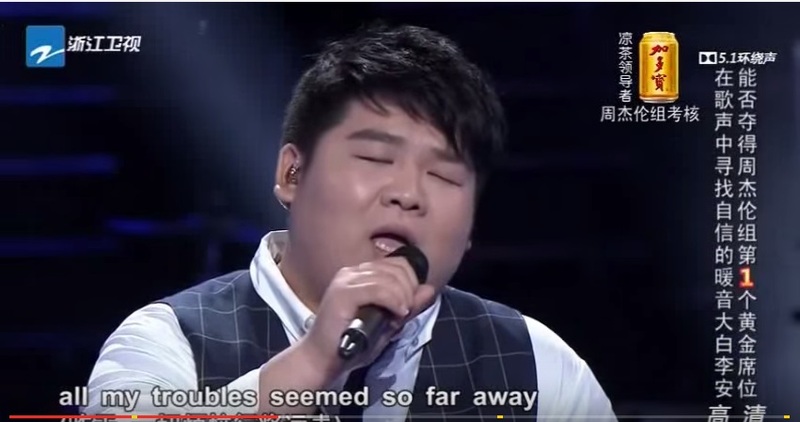 Isn’t it way too much of a coincidence that every single mentor has at least one student in the top 5 I never supported Li An much but I was really impressed by his latest performance and judging by his speech he really does want to be in top 5 and really tried very hard so kudos to him for that ! I liked the way he sped up the song as well. 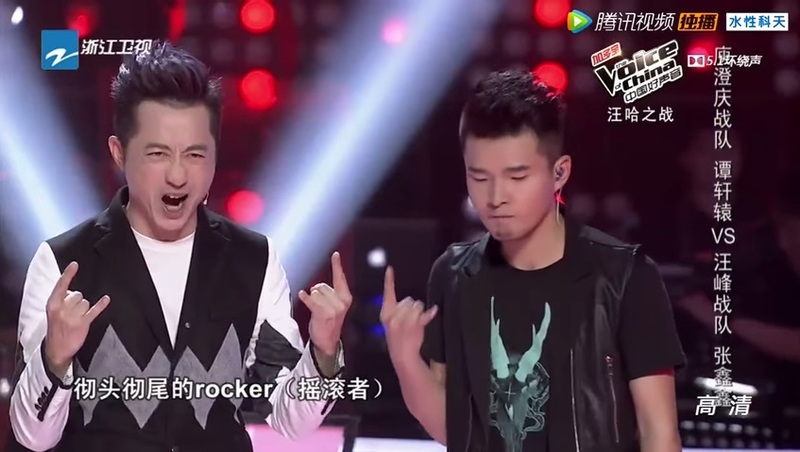 I think the contenders for the top two are definitely Zhang Lei and Zi Tong. Personally I support Zhang Lei, there is just something about his voice that makes me wanna listen to him again and again. Definitely winner material. Zi Tong seems popular though so that might tip the odds in her favour. 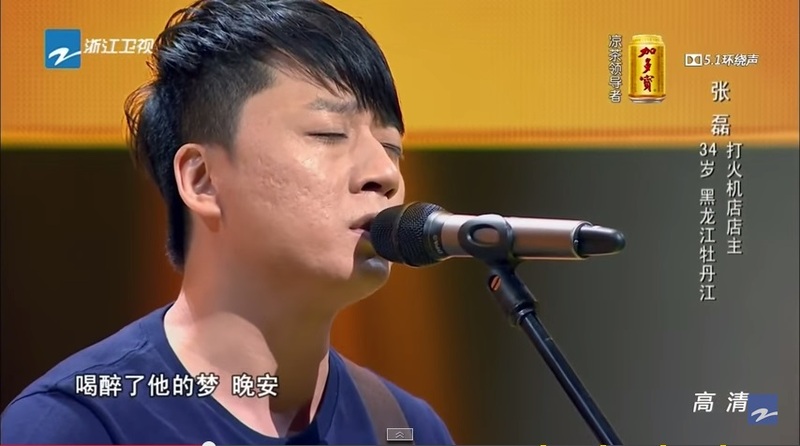 I personally really like Tan Xuan Yuan but I think he isn’t mainstream enough to win. It’s clearly a 姐弟 alliance battle in the top 5! Oops I mean top 5 all deserve to be there except for Bei bei. I don’t know why but I stopped being impressed by her after she kept trying to sing Wang Feng songs. Like I get that she is a real Wang Feng fan and I do admire the relationship between them but I really think she needs to learn to sing songs that suit her more. The show is totally fixed, Na Ying is the major sponsor of this show (hence her team won 3 times). Very disapointing how every aspect of the show is rigged. On the bright side, most of the contestants become pretty popular even without winning.